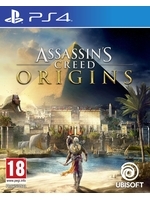 Ubisoft has released some new screenshots of The Curse of the Pharaohs, the new expansion for Assassin's Creed Origins coming in March that will send Bayek to Thebes and the Valley of Kings to investigate a mystery that has materialized undead pharaohs. Great game, I just wish they add more meat to the Modern World segments. I want it to play like Watchdogs. Yes, though I would go for exploration and puzzles instead - with maybe very light/little gun shooting action. In one of the Modern times' sequences I felt like I was playing an Indiana Jones game and at that time I really wished that some of the resources Ubisoft put into the side content in the Ancient times' sequences was actually in the Modern times. If I'm not mistaken, there's about 112 side quests in the Ancient times', add that to all the main quests, activities, collectables, mini games, etc and there's already too much things in that period and setting. While the Modern times' sequences had almost nothing to do outside of reading hundreds of pages of text documents. If Ubisoft had diverted some resources to make at least 10 or so main events or side quests in Modern times, that would have been great. The older Assassin's Creed games did some of that, having many things to do in Modern times - specially Assassin's Creed 3, like playing as Desmond in Brazil during a MMA championship fight. Though I understand that many people complained about it and how it kept them from playing the game's main period and setting in past games. However, this is Assassin's Creed and the Modern times' storyline should be at least great and have some good length to it. If someone just wants a full Historical game, there's already thousands of other games to choose from. Basically Ubisoft needs to stop treating the Modern World segments as piss breaks from the Assassin's main story. Agreed. What we need is a new character for the Modern times' segments that is as relatable as many of the History segments' characters are, or at least as Desmond was, even though he could feel flat/bland at times. When you have some NPCs or even villains which are much more fleshed out, more relatable and much more interesting than the Modern times' characters you actually control and should feel interested and invested in, there's a problem with those sections of the game. That's what made Watch Dogs 2 be so great, almost all of the main characters are unique with their own personality and that makes them relatable, while in Watch Dogs 1 you basically didn't care about most of the characters and that's one of the reasons why it felt soulless. I see where Ubisoft is trying to go with the character in the Modern times' segments in AC: Origins, like trying to create a new multi-games arc with the same character, like they did with Desmond. But even after reading all the documents, I still didn't felt invested in that character. Even when a certain event happened, which I won't mention because of spoilers, I felt nothing of what I'm sure the writers wanted the player to feel, because you barely even knew that other character and had no attachment to him/her. Which also made me not care for the "anger" that character was feeling, it felt fake and forced. 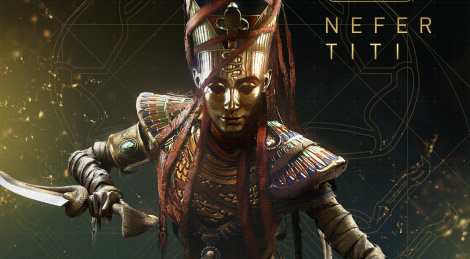 It all felt very forgettable - I can't even remember the names of the Modern times' characters, while I can clearly remember those of Bayek and Aya's story: Khemu, Hapzefa, Chenzira, Apollodorus, Snerefu, Ibis, Rudjek, etc. I cared more about Bayek's character in that first assassination target post scene than all of the other Modern times' characters combined since Desmond. Same for Aya, they're all very relatable, while these modern characters are just forgettable. I loved the modern world sequences in Black Flack.